Customers always buy goods with competitive prices. If your prices are way above the market prices, you may end up losing sales. Price-monitoring has become common in businesses today. Therefore, every business owner should monitor the prices of their competitors so as to adjust the prices when necessary. E-commerce is the latest trend in the21st century, and business owners must know the most recent prices in the market. With the help price monitoring tools, they can know the exact prices of goods in the market. Below are top 31 tools that are used for price monitoring today. MyDataProvider provides price monitoring services from any sites & source. E-commerce professionals use Price2spy for competitor price watch. The tool is designed to serve both small and large companies. It offers acquisition of pricing data and also reporting mechanisms that are used to analyze the data. The tool allows shoppers to set alerts for price drops on the products they would like to buy. The tool tracks the prices daily, and it notifies the users when the price drops. Fetchee is a price monitoring tool that notifies the users on price drops of the items on their wishlist. It works with any online store and supports any language or currency worldwide. Price2spy has two payment plans, the basic and premium plan. In case you are a new user, there is a free trial period, and no credit card is required. When the number of monitored products increase, you can feel free to upgrade to the premium features. Competitormonitor the best competitor tracking software. It can track online reviews, the rating of a range of products and also the prices of competitor products. It gives you real-time results and helps you fix your products and also adjust the price of products appropriately. Profitero is a competitor price monitoring software that keeps track of what shoppers see and buy online. It can actively track over 280 million products in 50 different countries for both retailer and consumer goods. It gives real-time information and helps merchants to make appropriate decisions. 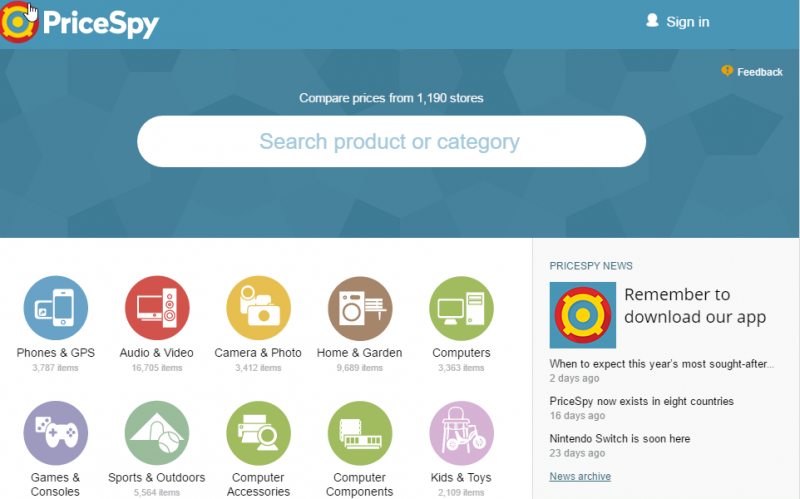 Price2spy is a competitor monitoring software for small and large online sellers all around the world. The tool helps e-commerce business people to track and analyze competitorâ€™s pricing. Pricetrakker is one of the best competitor price tracking software compares competitors information about their products and gives information in real-time. This includes prices of their commodities, promotions, the level of stocks and also reviews. This tool allows sellers to remain competitive and make decisions according to market situations. Price Trakker is a competitor price monitor which automatically extracts price and stock information for comparison, from your competitor’s website. It provides you with a competitor price intelligence service for easy competitive analysis and pricing strategy. Camelcamelcamel is one of the best free competitor price monitoring software you can trust on Amazon products, to know about price fluctuation. It is used on Amazon products and will alert you when prices go up or down. Slikdeals A web-based price Tracker for watching prices on any item on Amazon and other popular shopping sites such as IKEA, GameStop, Buy.com, Newegg, and others. Price Zombie is a price monitoring tool that not only monitors the competitor’s prices but also tracks price history. It enables you to do comparison shopping. Pricing Assistant is a competitor price monitoring tool used by online retailers and brands for price optimization. You can use it to track all your competitor’s prices on the web, where your brands and products are sold online, and to optimize your Google Adwords shopping campaigns. DataCrops is the Best Competitor Price Monitoring Software used to extract, automates, and deliver information from web sources. Promptcloud is a price monitoring website that is web-based, used in competitive intelligence to monitor competitor’s price activities closely. Pricingassistant pricing depends on the matching method you chose, the number of products in your catalog, and re-sellers you want to watch. The charges are not fixed. Upstream is a product analysis tool that works on a cloud base system. It analyses the products and prices of competitors.It provides you with a comprehensive suite of intelligence tools such as price monitoring and tracking, product assortment, and pricing optimization which help retailers to monitor their competitor’s price behavior. Channel IQ is a competitor price monitoring software that provides a retail management platform. 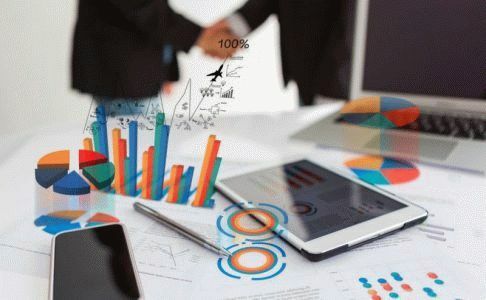 You can produce reports, schedule data collection and analyses; create databases of dealers and authorized sellers hence, staying competitive in your niche. Mostly used by enterprises for price monitoring. You can also analyze competitor’s internal structure, their finances, overall revenue, product plans, strengths and weaknesses among others. A 360 view of your competitor activities. There are no monthly subscription fees for Upstream Commerce. The pricing plans depend on the number of competitors you want to monitor, and the number of SKUs you wish to track. Prisync is a tool used to track and monitor competitors price and can be used on any e-commerce service. With this tool, you can comfortably track prices and stock availability of your competitor’s products. Invisible hand is a price monitoring tools that alerts you when a product you are shopping is available at a lower price from another retailer.The competing website link of the relevant page is provided on the notification. Savelist is a monitoring tool that helps you to know when the price of a commodity drops and when the product is back in the market. You will never miss on anything with this tool. API access is charged for an extra 20% on top of your monthly subscription fee. Pricemanager is an integrated reporting tool and a competitor price monitoring software by cutting edge technology. Pricemanager is an integrated reporting tool and a competitor price monitoring software by cutting edge technology. With this tool, you can monitor thousands of your competitors’ product pricing and compare with your pricing. This tool allows tracking your competitorâ€™s current activities and incorporating industry events. It conveys competitive information from patents, products, and publications as well. Zoominfo is a web price tracking tool that has a search engine and gathers a wide range of information on product prices, trends, variety. Mindrest is a web-based company providing price and assortment intelligence to online retailers and manufacturers. ou can monitor the stock of your competitor in online or offline channels. It helps you to track and monitor price, promotion, and stock. Through repricing algorithm, it automatically fixes prices in your e-commerce. A retail pricing optimization and intelligence solution to help retailers grow sales and margin using competitive intelligence, pricing optimization, and predictive analytics. Manufacturers and retailers use Profitero as a pricing intelligence service.Â The tool helps retailers increase on sales and profits by providing high quality of competitive information gathered online. A competitor price monitor which automatically extract price and stock information for comparison, from your competitor’s website and provides you with a competitor price intelligence service for easy competitive analysis and pricing strategy. You will find a bundle package for a single price across retailers, SKUs, and across the countries. The standard retailer package includes and not limited to users in the web portal; daily price updates customer success services and professional services. Competera is a competitive price monitoring solution focusing on developing and analyzing pricing strategies. It is a powerful, proven Saas-based competitors pricing, stock, and promotion solution, actionable insights solution for online retailers to make pricing and assortment decisions. Incompetitor is a competitor price monitoring tool that monitors prices and promotions in real time. It helps sellers to remain competitive throughout. Price grid is a Price Monitoring and Competitive Intelligence tool used in e-commerce for competitive price analysis and monitoring. Price Squid is best known to monitor competitor prices and give them results in real-time.You can gather information about your competitors’ prices and adjust them automatically on your dashboard to match the current market prices. The Competitor Monitor is used to track and monitor the competitor prices, promotions, products, and market perception round the clock instantly. Prix is a price Optimization tool that uses artificial intelligence to help revenue managers review strategies and implement price changes. Pricesscuid charges a fixed rate price for USD 38 per competitor/month to its users. Daily Scans are sold as subscriptions with monthly, quarterly or annual payment plans. You can adjust your plan at any time, upgrade/downgrade the payment plan, and add or cancel scans. Competera is a competitor price monitoring software used by the sellers to monitor the competitor promotion activities and pricing and uses the results found to their advantage. Pricesider is the best price monitoring tool that informs you about products prices, reviews, ratings, and information on sales, With this tool, you are well informed about the market changes and use the to your advantage. The pricing of Channel IQ is not fixed and depends on the industry, nature of the market, number and type of SKUs. The website provides a free price online price assessment so as to know the exact price in reference to your needs. Pentagon is one of the best competitor price monitoring solution for online retailers. It identifies the best pricing opportunity for your products on the market giving you the benefits from reduced costs to greater market share hence leading in the competition. Price2spy is a competitor price watch which gives you detailed comparison report, instant email alerts, price history and stock information of the competitor. You pay for a monthly subscription of $199. The is a setup fee hat you are required to pay once for $399 for 1000 products and competitors of your choice. In this plan, you pay a subscription fee of $299 and $ 599 for set-up fee for up to 1000 products and three competitors of your choice. Wiser is a tool that is well known for its intelligence and it is used by retailers for their competitor insights and also monitoring the competitors’ prices at real time. It can update price at real time and thus prove to be very effective. Aqute is a competitive Intelligence tool used by enterprises for price monitoring. You can also analyze competitorâ€™s internal structure, their finances, overall revenue, product plans, strengths and weaknesses among others. PriceComp is a tool that has business intelligence with the ability to provide real-time data of your competitor.It offers price information, assortments, MAP security among other services. PromptCloud is a website developed for a large-scale customed data crawl and extraction solutions. Its software enables you to extract meaningful data from the web in your desired format. You can use it to source competitors data from their websites for your pricing strategy. Parsehub is a price monitoring website that is used to extract competitor data from their web. The data includes that of pricing, promotions, reviews and rating. The data is after that used to plan and get ready for the market with the insights found. Subscription fees of $69 exclusive of $5 for every 10,000 records per month are charged for a small business. Enterprises with unlimited sites pay a subscription of $3999 per month. 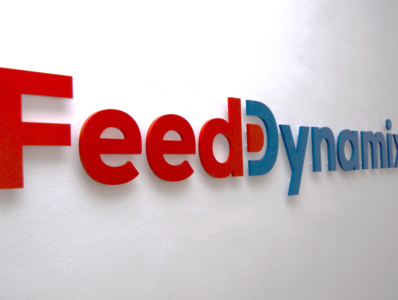 GoDataFeed is a product feed performance platform that enables you to manage your data, optimize your listings and automates the feeds on your performance to boost your profits. DataFeedWatch is a data feed management and optimization software.Â You get to the performance of your product in the marketplace based on the promotions, and many others. Zoomos software performs the following functions: automates price and availability in online stores, monitor competitor prices, filling stores with products information and photos and automates products pricing in check with the competitor price. Brand Monitor is a brand monitoring and customized site that informs you of the product information on other competitors and retailer websites. It detects for you whether you meet the pricing policies as compared to the competitor while helping you to maintain the value of your brand. Sysomos is a tool used to collect information from the social media on your brand and gain insights on the level of activities surrounding your company or brand. Brandwatch gives you insights on what consumers are thinking about your brand.Â It enables to know how many mentions of your brand name has crossed through the internet including the comments on the same. 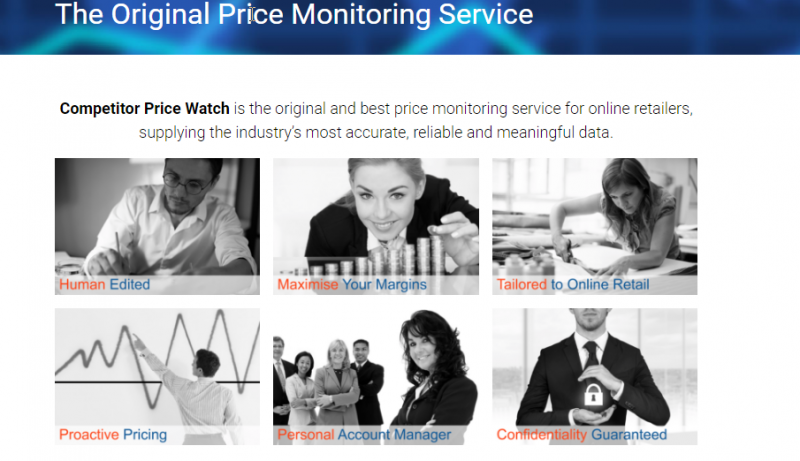 Competitor Price Watch is the best and original price monitor with a reliable, accurate, and meaningful data for online retailers and suppliers. It gives you insights on the most relevant information on the competitor behavior for analysis and adjustments on your prices. PriceSquid is a designed and developed competitor monitoring tool. The only software on the market that provides sophisticated, real-time competitor monitoring and price optimization. You gather information about all your competitors in the user-friendly Dashboard and adjust your prices automatically to any changes in the market. Zoomos is a competitor price monitoring and analysis tool created three years ago to perform the following tasks: automate product pricing and availability while updating in online stores, fill the store with product description and photos among others. BlackLocus is the leader in the automated and optimized pricing tool for large and mid-market online retailers. It provides you with implementation strategy on competitive pricing and assortment. Insite Track is an automated tool on the website that you can use to track and monitor your competitors. It automates the process of capturing, analyzing and responding retailer price changes. You can configure the website to make price recommendations based on your rules.Â It analyses your market and give feedback instantly and can be used to make informed decisions. Price Intelligence is a competitor price monitor that automatically track prices of products matched to your products. Its robust ability to track your competitor price, analyze and automatically deliver precise information can make you stay ahead of your competitors. Price Observatory is a competitive intelligence withÂ a freeÂ subscription package that enables you to watch your competitors, adjust your prices, optimize your margins, and save time while earning money. Paarly is a pricing intelligent and competitor monitoring website that enables you to follow and compare your competitor product prices, and it is fully automated for real-time services. It gives you a clear visual and analysis of the market and the software seamlessly integrates with your EPR. Price pinx is a free product tracking site that enables you to request email alerts on the price drop off an item on almost all retailers websites. Once you sign up and drag the bookmarklet to your chosen browser toolbar, you just click while online shopping, and it gives you the price. When the price of that item drops, it notifies you through mail. The invisible hand will show you when the prices of product, hotels, car hire or flights are lower in the top bar and if it is the best deal. 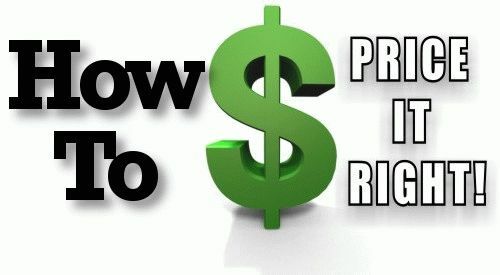 Price Intelligently is one of the expertise SaaS business uses in price optimization. The software adopts algorithms to determine your taste and preferences in features and their product price sensitivity. The software collects data from market panelists, customers, and prospects. ProfitWell is a priceless software with inbuilt actionable SaaS platform with the capabilities to convert your data to graphs and outputs. It connects the right product to the right customer and at the right price. Sixteen Ventures operates as consultants but provide services such as revenue modeling. They work with vendors, not customers and no IT organization. Paarly is a pricing intelligent and competitor monitoring website that enables you to follow and compare your competitor product prices, and it is fully automated for real-time services. It gives you a clear visual and analysis of the market and the software seamlessly integrates with your EPR. It was designed for product manufacturers and e-commerce retailers. E-merchants and Brands use Prixan as a competitor monitoring tool to watch the competitor prices on the market and analyze their behavior. Repricelt allows you to reprice your stock with minimum challenges and maximum flexibility. The cloud-based price management system allows you to compete with the largest and well-equipped retailers at an affordable price.